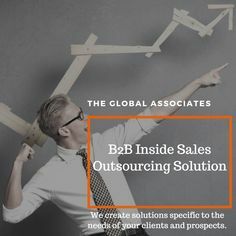 Getting in touch with the decision makers without wasting too much time is essential for The Global Associates B2B Appointment Setting Services. Today’s top executives put up layers of gatekeepers and call screeners to stop the unwanted calls and visitors from eating into their productive time, making the job of B2B appointment setting services a difficult one. One needs to devise effective ways to tackle with these gatekeepers to quickly reach out to the desired decision makers. The call screeners are experienced people, they can easily smell a rat and prevent the unsolicited sales people from getting into their boss’s cabin. Here are a few useful tips to successfully getting past these obstacles. Doing a thorough research about the decision makers is essential for B2B appointment setting services before making a call. The call screener is sure to get you right away if you aren’t even sure about the name and designation of the person you want to get in touch with. Never try your luck without doing your homework, that’s not like a good salesperson. Unless there is an emergency, try to be honest with the call screeners. Try to convince them that you are calling for a product or service that their organization needs; trying to bluff your way through with white lies might land you in trouble. If you want a long-lasting relationship, try to project yourself as a problem solver, not an outright salesperson. This may take some time, but if you can build rapport with the call screeners, they will always be your trusted partners. Getting to the decision makers will be easy in that case. It’s imperative for B2B appointment setting services to devise effective ways for getting past call screeners to be in touch with top executives quickly and easily. Call only after you have the exact details of the decision makers and try to deal with gatekeepers with honesty and sincerity and they will let you into the cabin of their bosses.